There is no single cure for a slice because there are any number of problems that cause the club face to impart left to right (for right handers) side spin on the golf ball. Follow the link to the video of a little practice drill I have seen several good teachers give their pupils. You can do this for a minute or two every day in your lounge. In this video you see that you swing your right hand back from address, leaving your left palm open at the address position, and then bring the right hand back and ‘clap’ the left palm with your right palm. This drill won’t necessarily cure a slice, but it encourages a good swing path, bringing the right hand back from inside the line. If you are missing fairways with the ball slicing into the bunkers, rough, trees, water or desert, the starting point to a cure is a diagnosis of what is causing your problem. The best way to diagnose the problem is to book in for an assessment with us. We’ll identify the problem and highlight both how to fix it and the practice required to remove the problem from your game. How much fun is it hitting shots down the fairway or into greens that stay straight or even have a gentle draw? It’s a lot of fun. The new Drivers in the store add yards, but most importantly add yards when you strike the ball away from the center as well. I thought we had seen about every yard we could get out of a new Driver last year. 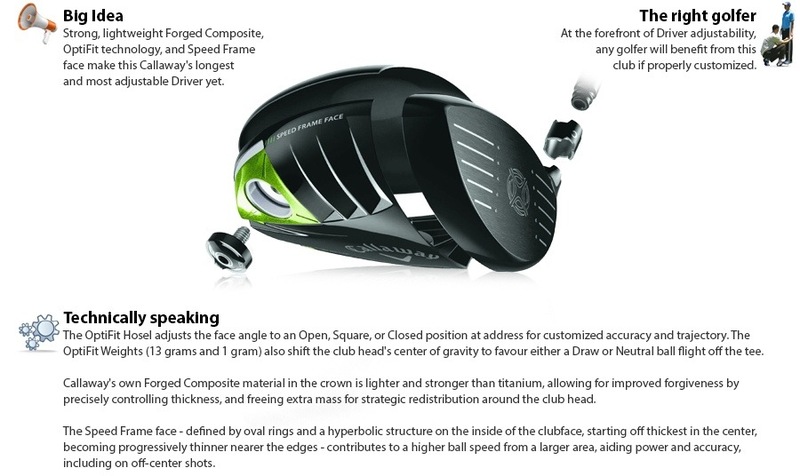 But the advances in materials and manufacturing continue, with the biggest impact being the ball speed generated even when you hit the ball high towards the toe or low towards the heel. It’s not just the latest technology that delivers added yards. Spending time finding the Driver technology that works for your game, setting it up with the right shaft, and then making sure we have the loft and face angle correct, all deliver much longer results than you would expect. How far do you think you could go this year? Why not come and see us and let’s see just how far that is. This entry was posted in fitness, golf, golf instruction, golf tips, sports and tagged Golf fix, golf swing, golf tips, instruction, slice, Suzanne STRUDWICK, tiger, us open. Bookmark the permalink.